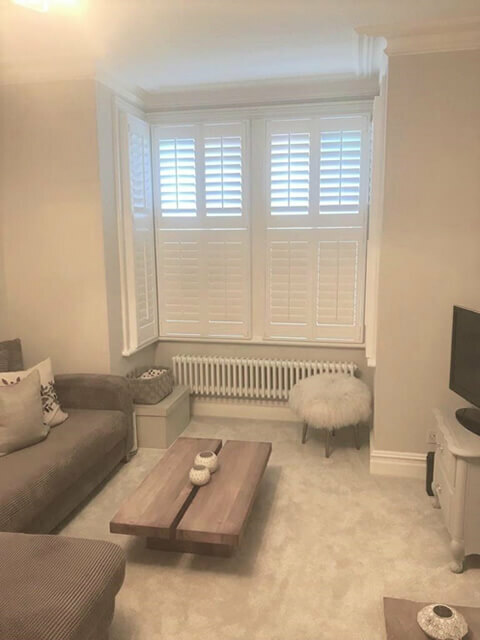 Daniel was in Guildford in Surrey to install these traditionally designed shutters for a clients bay window area of their living room. 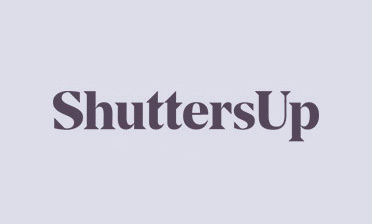 The shutters were designed using our tier on tier style which is our most flexible style of shutters and allows for adjusting, opening and closing in multiple different ways. The perfect option for bay windows such as this! The client was keen to gain privacy and control of lighting into the room where they spend most time and also to create better lighting conditions for watching the TV etc. 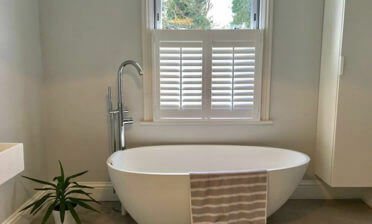 They were keen to have the shutters finished in pure white to match their living room décor and furniture. As you can see they blend seamlessly into the room, the perfect selection and look! We created the shutters using our cost effective Antigua range which is manufactured using MDF and available in 5 different shades of white. To gain the classic look the client was after we used beaded stiles and centralised tilt rods, rather than hidden tilt rods system that many opt for these days. The great thing about these shutters is that they can be operated in many different ways, for example with the top half flung open as you would find with café shutters to let maximum light in, or open, closed and adjusted any way the owner sees fit depending on their needs!